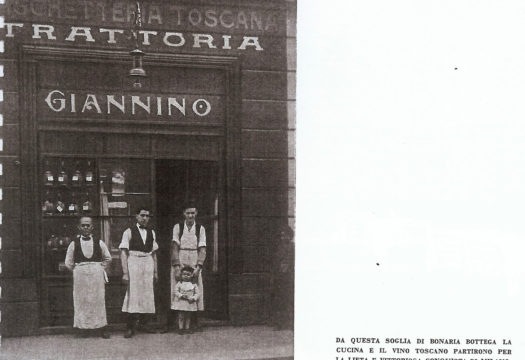 Back in 1899 the ambitious Giovanni Bindi – known to all as Giannino – opened his first trattoria in Milan. 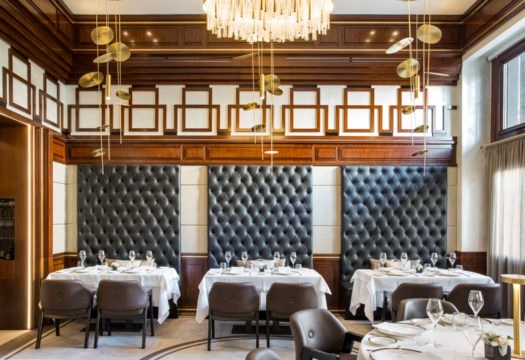 It soon became a refined restaurant, and a gathering place for the international jet set. 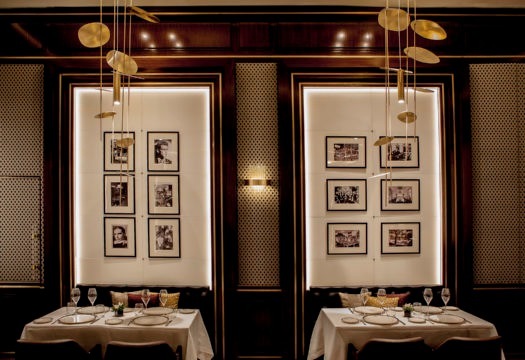 Everyone from Princess Grace of Monaco to Italo Balbo, Primo Carnera to the Duke and Duchess of Kent, came to dine at Giannino. 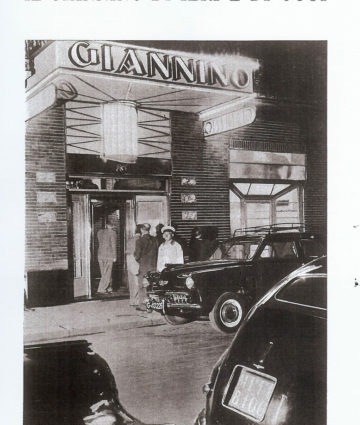 Today, with over 100 years of history, Giannino is a true Milanese institution. 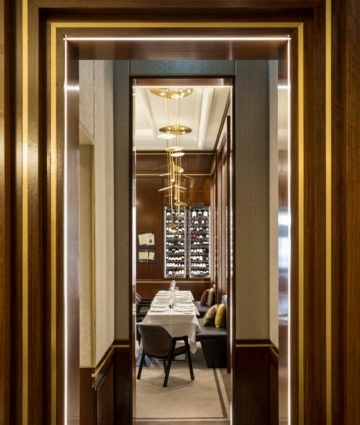 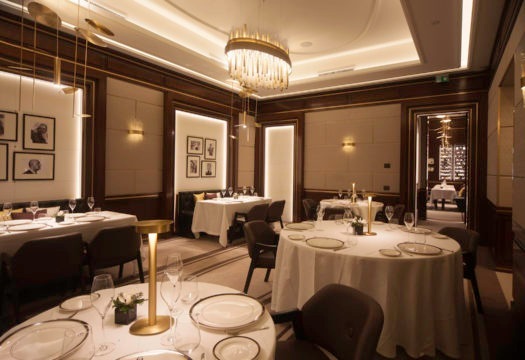 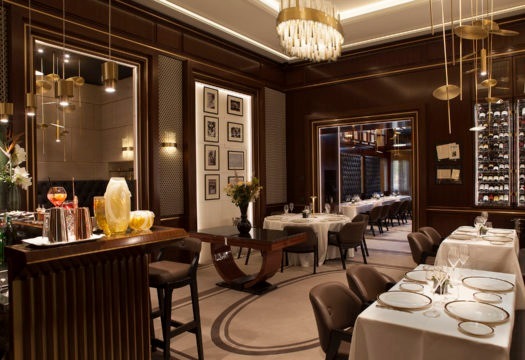 The links between past and present form the basis of a restyling done by the studio Spagnulo&Partners, creating a contemporary setting marked by the classic elements of fine dining. 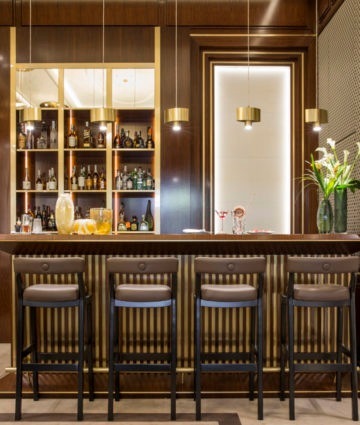 There is an accent on the relationship with Milan: the large portals that frame the perimeter walls of the rooms reference the porticos of Via Vittor Pisani, the location of the restaurant, while the decoration that becomes the balustrade of the mezzanine reinterprets the railings of the iconic staircase of Villa Necchi Campiglio by Piero Portaluppi. 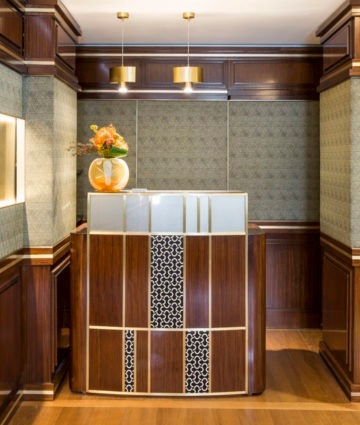 Frames and geometric reliefs intertwined with sections of brushed brass update the classic paneling in Daniela walnut. 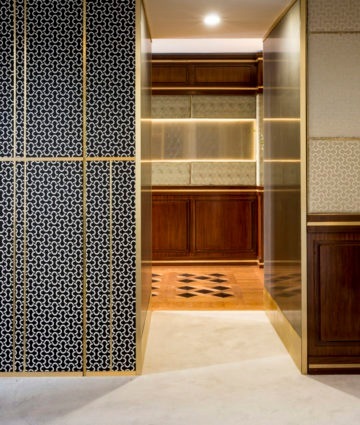 The fabrics on the walls, different for each room, interpret the geometric stylemes of the start of the 20th century, mixing with panels as in the neoplastic De Stijl tradition. 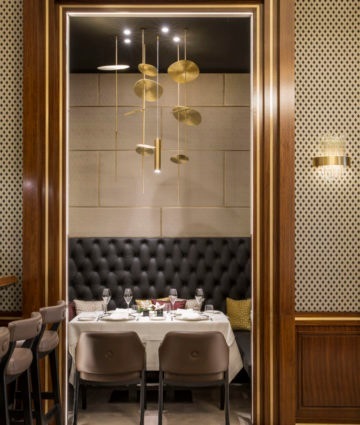 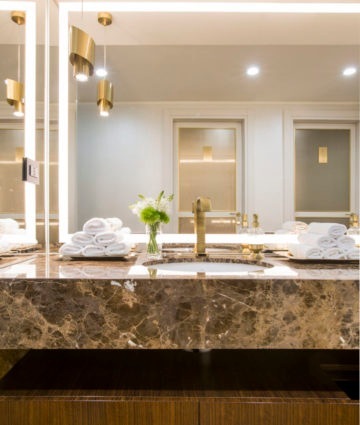 The appliques and chandeliers in brass and glass, designed by the architecture firm and produced by LuceTu, narrate ethereal lightness and articulation in musical rhythms typical of the sculptures of Fausto Melotti. 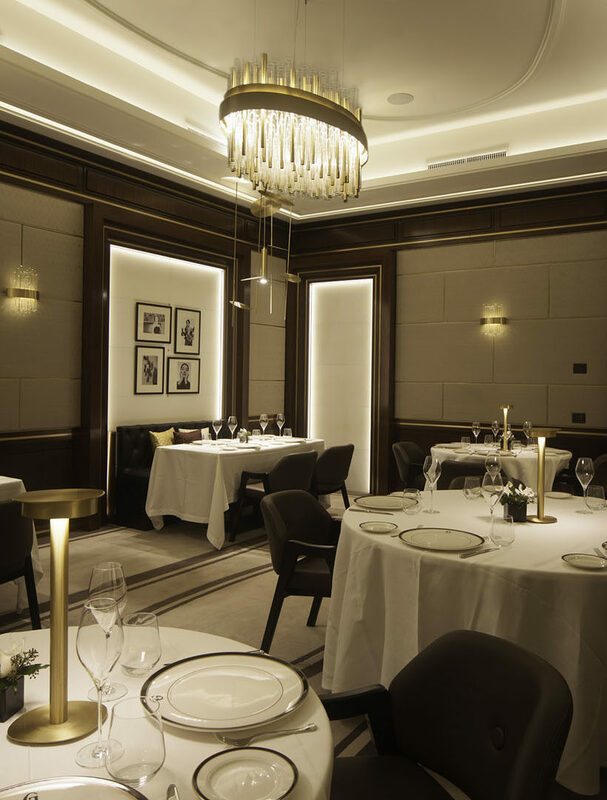 Tradition and Milanese identity are also the two main concepts of the cuisine provided by the chef Alessandro Rimoldi, presenting traditional dishes in a modern way. 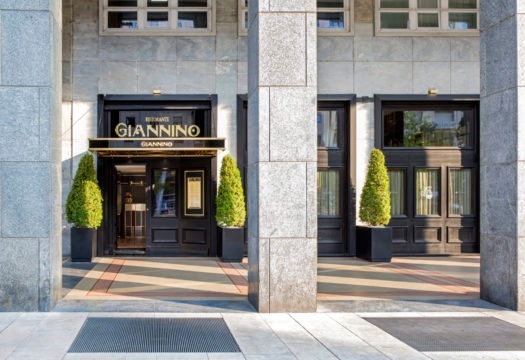 “Giannino dal 1899,” with its new image, pays homage to Milan, where over the years it has become an outstanding symbol of hospitality.